The Ecoboost-powered Mexican-Canadian Vühl 05 went right-hand drive for the UK. The Ecoboost-powered Mexican-Canadian Vühl 05 went right-hand drive for the UK. 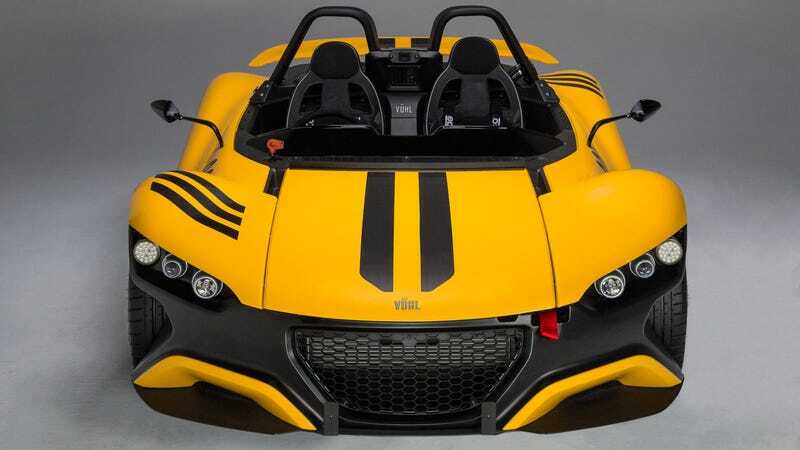 Now, it only has to beat the also Ecoboosted Elemental RP1, the Zenos E10 R, the BAC Mono, Caterhams, Ariels and all the rest of the barely road-legal crowd.